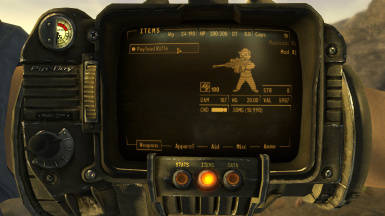 This mod adds a semi-automatic magazine-fed .50MG payload rifle to the game. 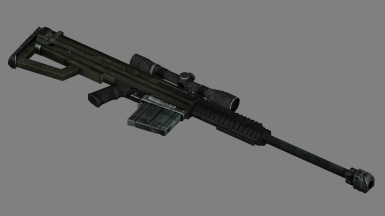 Even though I don't take requests to make custom meshes, I'm still inundated with PMs asking me for stuff, and by far the most requested item is always a semi-automatic Anti-Materiel Rifle. Truth be told, I've wanted to make one for a while, but was never really sure how to start. Which base guns could I bash together in a way that looks good and functions just as well? Today, I think I finally cracked it. I started with the base game Marksman Carbine mesh (surprise!) and cut away everything except the grip, trigger guard and railed handguard. I then attached and enlarged the magazine well from the legacy-content Chinese Assault Rifle and the magazine release paddle from the legacy-content G3 Assault Rifle, giving me the look I wanted for the lower receiver. 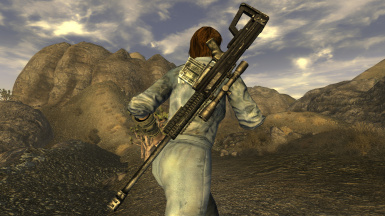 For the upper receiver, I ultimately chose to use the Bozar light machine gun, since its buttstock closely resembles that of a Barrett M82, which I wanted this weapon to be the Fallout universe's equivalent of. 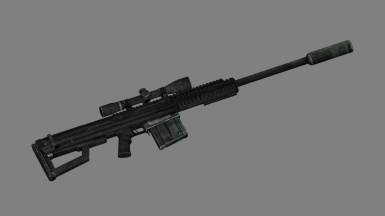 I removed the grip, magazine and scope, then stretched the frame until it fit the Anti-Materiel Rifle's magazine. I also widened and enlarged the ejection port and merged the charging handle and ejection port cover to form the one-piece bolt. The Bozar barrel was pretty much left untouched, except I widened the chamber end into a flared cone to mimic a higher-caliber chambering. This ends up being mostly hidden under the handguard, but I think it's a nice detail. 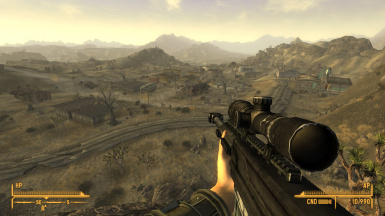 Lastly, I attached the scope from the Hunting Rifle, and then ported the entire weapon to use the Marksman Carbine's handling, reloading and firing animations. 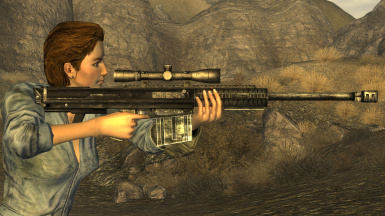 Gameplay-wise, this weapon is pretty much identical to the Anti-Materiel Rifle except for being semi-automatic and magazine-fed. It can be modded with the 12.7mm Submachine Gun silencer to make it quieter, but not totally silent. 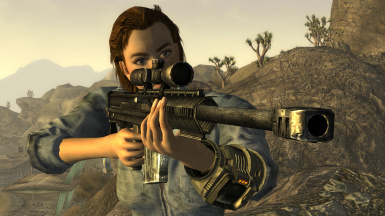 I've also added the weapon to all the appropriate form lists, so that all perks and challenges that affect large-caliber rifles will work as expected.